There’s a very affordable Japanese restaurant along Tomas Morato in Quezon City that’s just perfect for friends to dine in and chillax after work. It’s NOMMU Tomas Morato! I highly recommend you start with Spicy Tuna Sashimi. This automatically awakened my senses. It’s packed with heat and flavors that marked the beginning of my exciting gastronomical experience for my first visit at Nommu. I also enjoyed their Gyoza, or Japanese pan-fried dumplings with seven pieces per serving. Instead of ordering rice, I had the heavy Volcano Roll. It’s deep fried sushi with salmon, ebiko, teriyaki sauce and cheese sauce. This is actually good for two to three persons!!! 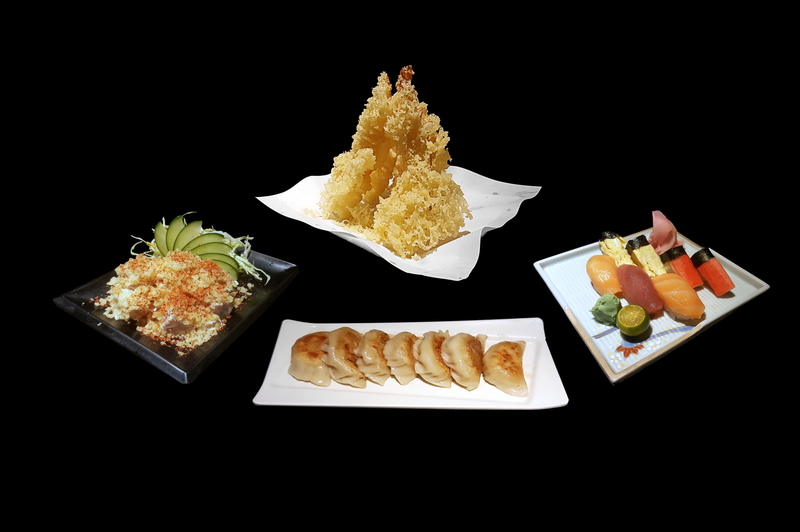 For variety, order Mixed Sushi Platter (solo) : 1 salmon, 1 tuna, 1 shrimp, 2 tamago and 2 kani. To wash it all down, their special house iced tea is recommended. Of course, they are also known for serving an affordable variety of drinks. Nommu has two floors. There’s an air-conditioned area, and al fresco. The very warm staff can explain almost anything with much enthusiasm! They make guests feel at home. Always check their Facebook Page for surprise promos!